Aislinn Vences, 18, has been playing soccer since she was 5 years old. On a recent afternoon, Vences was on her way to a match when she used the game as a metaphor for how she approaches life. 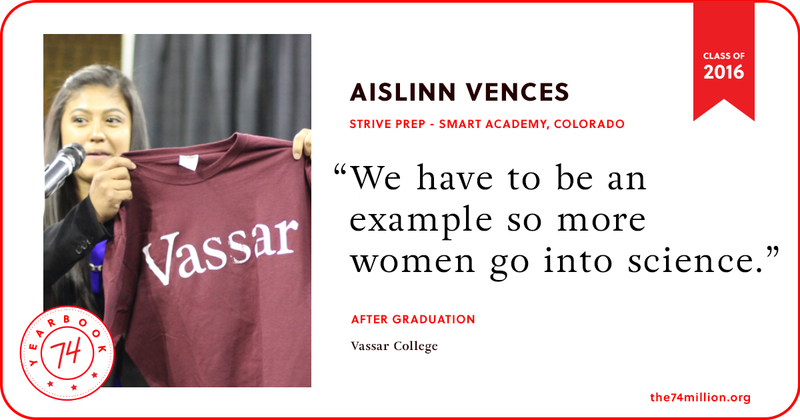 So when it came to picking a college to attend, Vences surveyed the field and weighed her options, before ultimately settling on Vassar College, a liberal arts school in Poughkeepsie, New York, where she received a partial scholarship. 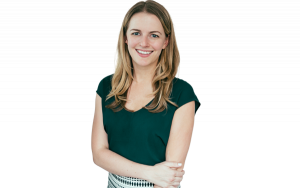 “I was accepted to other colleges, but I picked Vassar because of the opportunities it offered me,” she said, pointing specifically to her dream of studying science. 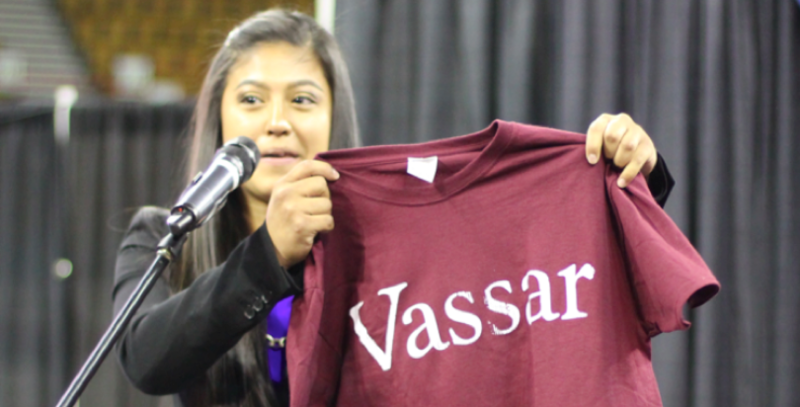 Vences also hopes to join the women’s soccer team at Vassar as a walk-on. And pursuing education and pushing boundaries is a familiar feeling for Vences, especially as she hones in on her interest in STEM. Vences will be the first in her family to pursue higher education. Her parents immigrated to the U.S. from Mexico, where her father never finished middle school, and her mother didn’t finish high school. As the first to not only graduate high school, but also go on to college, Vences hopes she is setting a good example for her three younger siblings.